Rocky Mountain Paper Crafts: 25% Off Cardstock in June! Time to stock up on cardstock or try out some new colors! 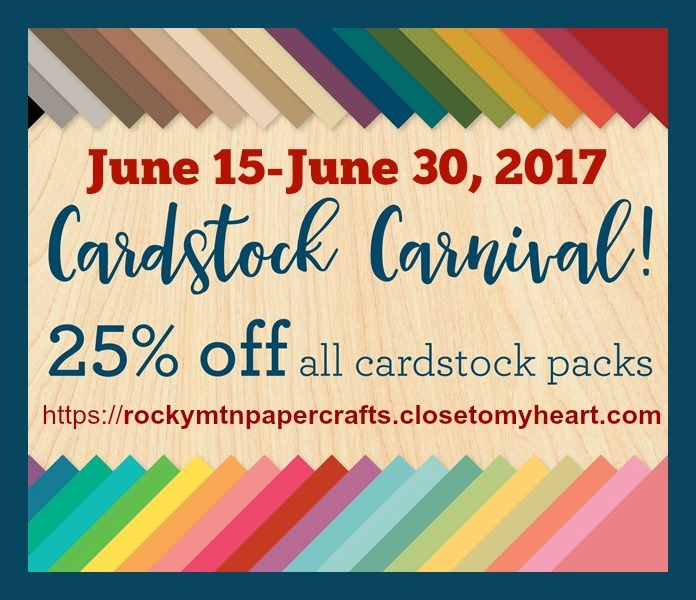 All cardstock is on sale this month! Take 25% off the retail price...which includes combo packs. You can view all of the cardstock choices here.